Okay, so Chemnitz is not a far away place for us, but for many of you it is! How could we not start our travel series with the very important former “Karl-Marx Stadt”? Chemnitz, Germany is in the state of Saxony and has been around since the 1140s. Chemnitz sits at the bottom of the Erzgebirge (the Ore Mountains), which means in winter, we usually get a good amount of snow, and summers are beautiful! During the German Democratic Republic, Chemnitz was known as Karl-Marx Stadt. One of the most interesting sights to see in Chemnitz is the large Karl Marx bust in the city center. Before seeing it, I imagined it to be about the size of a person and likely in a museum. It proudly stands outside and is as tall as a building, a constant reminder of the cities recent history. Side Note: Those born during the German Democratic Republic must write on forms City of Birth: Chemnitz, formerly Karl-Marx Stadt because their birth certificates say Karl-Marx Stadt. For some great German food, Chris and I love Diebel’s. Its best to go in summertime because you can sit outside right on the river! We recommended the Schnitzel or (if its the season) the Asparagus soup. 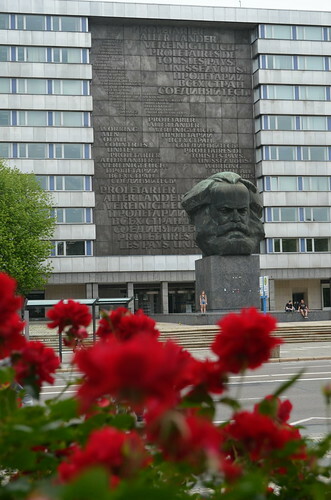 As I said above, the Karl Marx bust is one of the most interesting and defining sites in Chemnitz. It is a constant reminder of the history, and a very visible sign of the effect that Socialism had on Germany. Time of Year to Visit: Summertime. I might say this for all German cities. There is nothing like Chemnitz in the summer. First, you are greeted with the beautiful yellow fields. 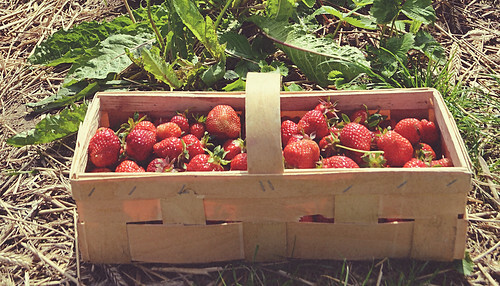 Then comes the Asparagus season, followed quickly by Strawberry season. Seeing the city during this is gorgeous, but if that isn’t enough, just drive a few minutes into the Ore Mountains and see how easy it is to fall in love with Germany! For much of its history, Chemnitz was the industrial center of Sachsen. There is saying about the three largest cities in Saxony, ” In Dresden they planned it. In Leipzig, the funded it. In Chemnitz, they built it.” This museum gives a great history of industry in Chemnitz and Saxony. One thing we haven’t figured out in America yet is Eiscafes (Ice Cream Cafes), but I am certain we will! By far the best ice cream in Chemnitz, and likely in Saxony. 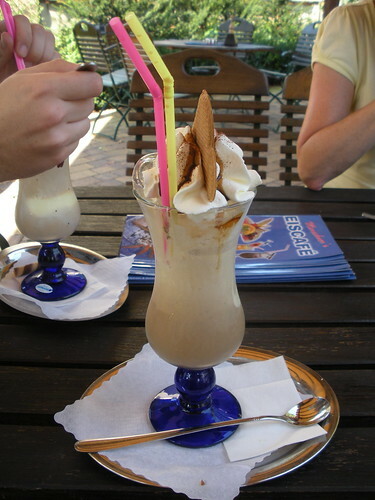 East Germany has the best ice cream in Germany and this is one of the best cafes with one of the largest selections. All ex-Pats agree, you can’t miss Marschner’s on your Chemnitz visit! Connecting this week with: Mercy Ink, Cornerstone Confessions, Time Warp Wife. My birth certificate still says West Germany, Bayern. I was issued a new one later that just said Germany.